东莞市米米母婴用品有限公司, 座落于东莞市石排镇水贝村沿村路, 工厂占地面积1万平方, 主要生产母婴用品, 车内用品和各类手袋车缝制品. ● 母婴用品系列产品包括 – 婴儿背带, 睡袋, 围兜, 尿裤, 尿布垫, 推车垫, 哺乳罩, 一次性BB用品, 等等. ● 手袋车缝制品包括各类妈咪袋, 旅行袋, 背包, 书包, 冰袋, 功能袋, 等等. 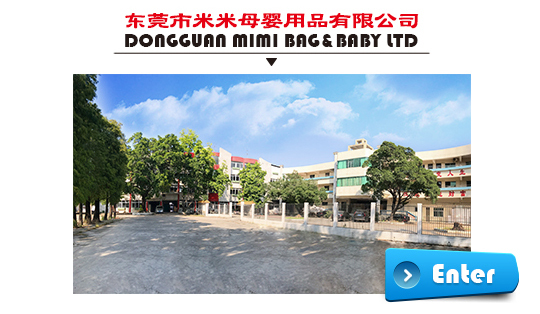 DongGuan MiMi Bag & Baby Ltd. – locates in ShiPai Town, DongGuan area of South China, with plant area of 10,000sqm. Major in baby/mom care products, car interior organizers, and bag manufacturing. Baby / mom care products include series of Baby Clean, Baby On-The-Go, Nursing, Disposable, etc. Car interior organizers includes an extensive car interior organizers. Bag products include Mommy Bag, Traveler, Backpack, School Bag, Cooler Bag, Tool Bag, Outdoor Organizers, etc. We have been doing manufacturing for our US and European customers since 1990s. With professional production team and strict quality control system, we won numerous compliments from our customers already. 福建省米米箱包有限公司是专业的箱包手袋开发生产制造工厂, 本厂坐落于劳动力充沛的福建省宁化县城南工业区. 由专业的箱包人员管理, 开发, 生产制造. 引进最先进的生产设备, 致力于打造高品质的箱包手袋. 服务全球多家世界顶级品牌公司. 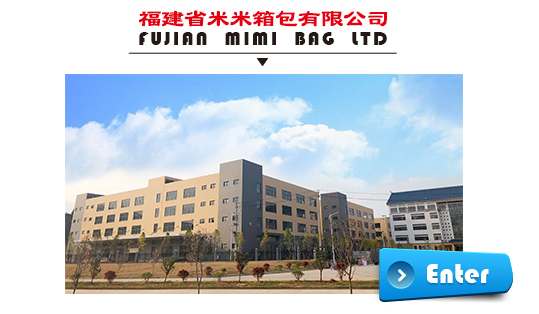 FuJian MiMi Bag Ltd is a professional bag manufacturer with plant locates in the large population county – NingHua, FuJian. We have professional team in developing, managing, and manufacturing, and our production line are assembled with the high-tech equipment to ensure the best quality and high efficiency. We are serving numerous top brand companies around the world!